Next weekend Freestyle Cup is going to take place for the 4th time. 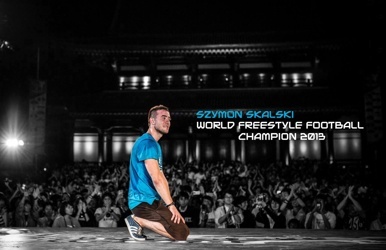 This year we welcome among others last years winner of Red Bull, Szymo from Poland. This year we can also welcome for the first time a girl in Freestyle Cup. Elise from Sweden is the Best Freestyler we have right now in Sweden, says Daniel Rooseboom De Vries. It is both a fantastic meeting and a Competition with 1000 Euro in pricemoney says Pawel Skora, the winner of Freestyle Cup 2013. We really like this , he continues. The mix of a Soccer Cup and a Freestyle meeting is a Great mix. Pawel is going to defend his titel the 26th of Juli in Copenhagen. If you have time, please come by Ishöj next weekend to see some of the best Freestylers on earth battle for the titel Freestyle Cup 2014. Kommer bli otroligt spännande att se via länken på er hemsida alla deltagare som är med i "Football Freestyle Show"....under tiden som Danmarks Cupen 2014 pågår!